What an amazing 2018 we have had, having organised nearly one hundred weddings in Spain and Mallorca. Some huge and lavish, others small and rustic, but all absolutely incredible and unforgettable. As we begin to wind down for the year and look forward to what the 2019 wedding season in Spain and Mallorca will bring, we want to share with you some exciting news. 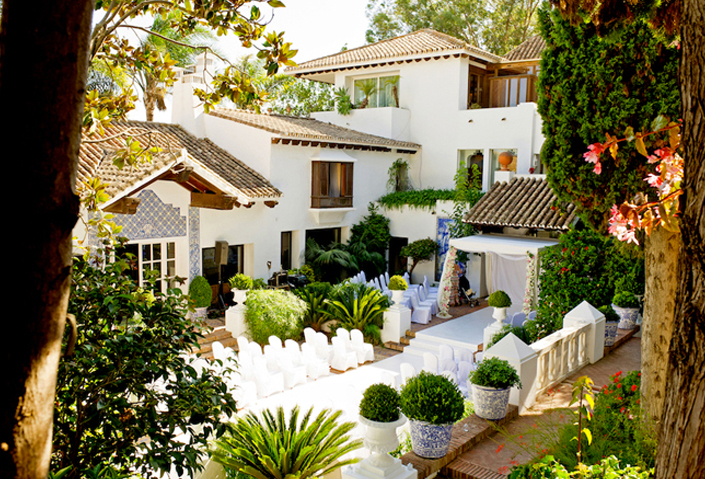 This year we were confirmed as one of the Marbella Town Hall’s approved wedding planners. This means that our dedicated service and great reputation has led us to be recognised as a recommended wedding planner by the town of Marbella. The Town Hall plays an intrinsic part in many of our destination weddings, so it’s fantastic to have their backing – we can’t tell you what an honour this is for us! Every year we plan dozens of weddings in the location that has made the Costa del Sol so famous. Known for its glitz and glamour, Marbella has always been a mecca for the rich, famous and young-at-heart. But few people know the real Marbella. If you’re looking to marry in Marbella for your destination wedding in Spain, here are three things you probably didn’t know about this often-misunderstood Spanish town. Marbella is filled with lots of hidden Spanish charm. Meander along its cobbled winding streets, visit its tranquil ‘plazas’ lined with orange trees and enjoy authentic Spanish cuisine in many of its local tapas bars and restaurants. It also offers one of the most breath-taking churches in which to marry on the Costa. With its golden interior and ornate décor, situated on the edge of a traditional Spanish square, it makes a truly mesmerising place in which to say ‘I Do’. In a short span of only 50 years, Marbella has been transformed from a small fishing and farming village into an international tourist destination. Like the rest of the Costa del Sol, it boasts a mild climate – making it a popular wedding location. It also offers 11 golf courses, 26 kilometers of beautiful beaches, breath-taking mountain ranges, a large network of quality hotels, a fishing port, three marinas and top-class eateries. What was once an ancient Moorish town is now an important commercial and tourist centre. Yet few know that this amazing town’s history dates back to the Roman times, when it was called Salduba (Salt City). You can even visit original Roman baths in nearby San Pedro del Alcantara. In the 6th century the Moors took over the south of Spain, and one of its ancient fortresses is still standing. In fact, Arabian architectural influences are evident in many of the local buildings. Marbella (which literally translates to ‘Beautiful Sea’) remained an agricultural village for centuries, farming fruit, vegetable, olive oil and of course a busy fishing port, until the 1940s when Prince Alfonso de Hohenlohe landed in Marbella as a result of a problem with his Rolls Royce. This is where Marbella history takes an interesting turn. The Prince was so enchanted with the city that he decided to buy land for commercial purposes building hotels and apartment complexes. In 1954 he opened up the Marbella Club Hotel, which still stands today on the Golden Mile and remains a popular wedding venue. The prince quickly convinced Europe’s ruling elite to vacation in this new hot spot in casual yet discreet luxury. The 70’s saw the arrival of Prince Fahd bin Abdul Aziz al-Saud, the former King and Prime Minister of Saudi Arabia – and that’s when Marbella really took off as the glamourous hot-spot for the rich and famous. Now, along with the charm of the Old Town and the picturesque beaches, visitors to Marbella and Puerto Banus can also the sight of luxury yachts, designer stores, flashy cars and fun-packed beach bars and nightclubs. When we suggest the option of Marbella as a wedding venue to our wedding couples, many of them initially react with the thought of their wedding being limited to either a hotel or beach club. But as soon as we show them around the large array of venues, they soon see just how much Marbella has to offer. Gone are the days of ostentatious weddings in grand, lifeless halls. Our weddings in Marbella can include an intimate rustic celebration in an old country finca, a few minutes from the coast and hidden away in the mountains. Alternatively, we can put together a large family-focussed wedding day in your own private villa. Our Marbella villas range from lavish mansions, to more homely, relaxed venues for you to enjoy the company of your nearest and dearest. It’s important to take the time to visit Marbella with a trusted guide, such as our wedding planners, before you rule it out as it being all diamantes and fast cars – although we do them too!